Some people love gallery walls and some people hate them… I definitely fall into the category of people that love a great gallery wall. That being said, gallery walls are very hard to get just right and if you don’t get them “just right” then they can look disproportionate and weird. Today, on the Your Home Story podcast, we are sharing Gallery Wall Ideas and Tips that I know you will find very helpful! We are breaking down the confusion on frame sizing, how to pick art, how to decide on photographs, whether your gallery wall should be symmetrical or 3D, and much more! Join in as we give handy tips for installing your gallery wall and whether or not your gallery wall should be the focus of a space or just add to the space. 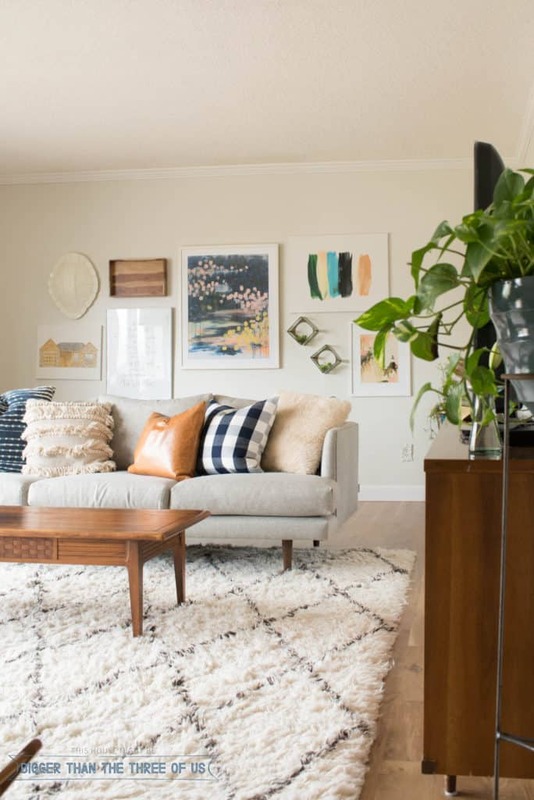 In our chat, I mentioned a great modern bookcase that I scored at the Goodwill and then shared about my large gallery wall that I used to have in my living room. Sometimes, I think that I took that gallery wall down too soon. I can definitely see another gallery wall going up in it’s spot. If you want to know more about how to size a gallery wall or how to figure out picture framing sizing and dimensions, then use this handy gallery wall how-to to help you plan your next gallery wall! Find loads of inspiration for more gallery wall ideas and tips on this gallery wall board on Pinterest. 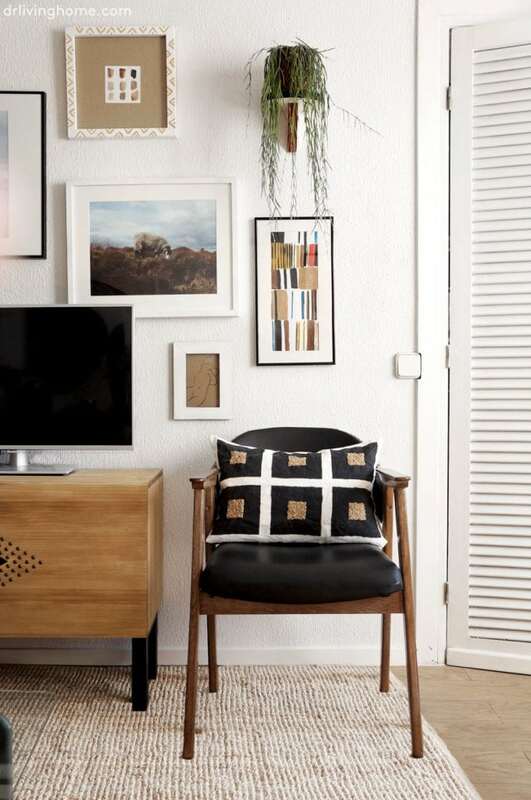 Suzannah feels like she never quite nailed the gallery wall in her past house, but let’s let you be the judge. You can find us on our blogs or connect with each of us on Instagram (@suzannahstanley and @biggerthanthethreeofus). We’d love to hear your questions and thoughts! Join our Facebook group here and email us at yourhomestorypodcast@gmail.com.